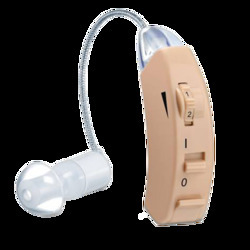 The general sound condition and performance of the Bernafon hearing aid is good, the aids provide a beautiful sharp clear sound on the first fit that appears to be just about right for us. There is a contrast situation in the way speech is presented from everyone else. Speech is really clear and good. Someway it is different than how speech sounds through other hearing aids. They bring actual clarity and that big-frequency Sound. The sound action is good natural, or at least as natural as I have come to expect.